After years of hearing about Publix stores, our area finally has one! I visited the new store last week. Wow, it was impressive! A grocery store with its own parking deck is somewhat of an amazement around here. Thirty minutes and five bags later, I exited with all the items that I needed for dinner for the rest of the week. 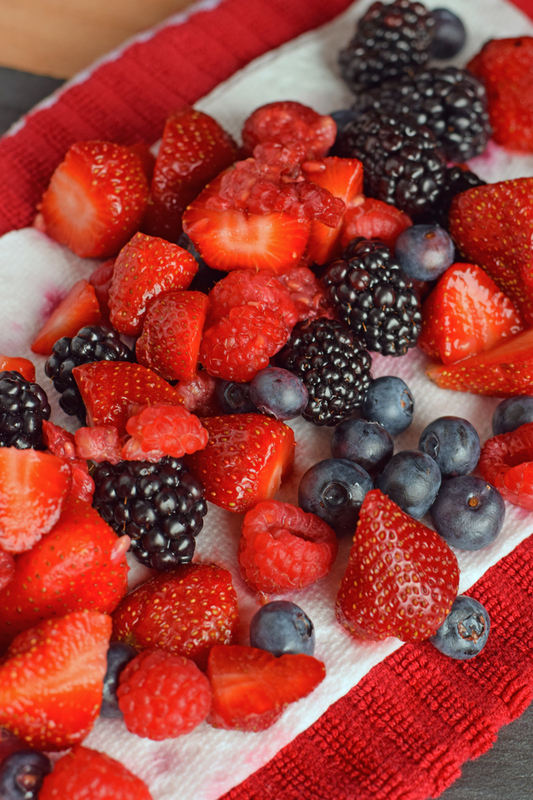 One of our family’s favorite side dishes is Berry Fruit Salad. Wash all fruit and let dry. Place all the berries in a large bowl. 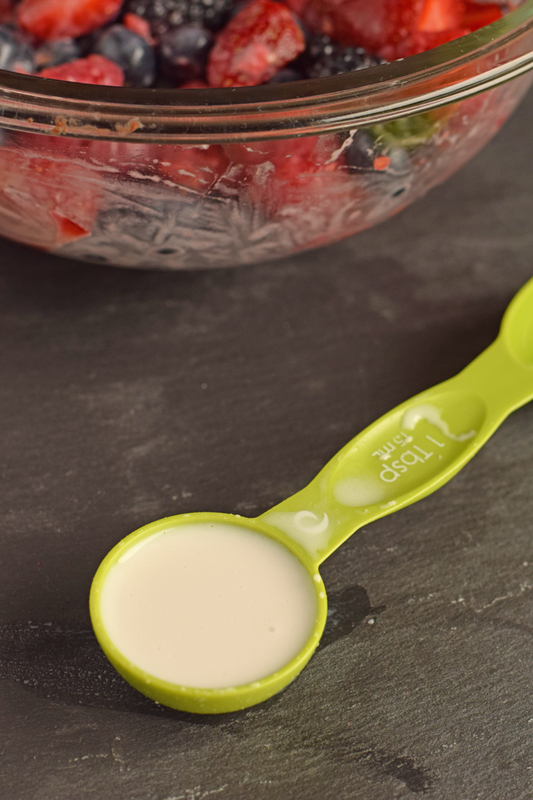 Pour the coconut milk over the berries and combine thoroughly. Separate the fruit mixture into smaller portions. Optionally, add the almonds. Sprinkle coconut flakes on top and serve! Berry Fruit Salad pairs well with many dishes. From 5/19-6/8, grab Freschetta ® Artisan pizzas 2 for $10! The Freschetta ® Artisan crust (3 whole grains in the crust!) is new at Publix, but they also carry Naturally Rising and Brick Oven varieties. We grabbed the Freschetta ® Artisan Four Cheese Pizza. Do you have a Publix in your area? What’s your favorite thing to pick up there? This recipe has been featured on the Weekly Meal Plans article on Making Motherhood Matter. Great recipe. Yummed & pinned! Looks delicious. I loved shopping at Publix when we in Florida. Loos delicious. I loved shopping at Publix when we visit the USA!! I love all the fresh berries in summer. With the coconut I bet this is wonderful! 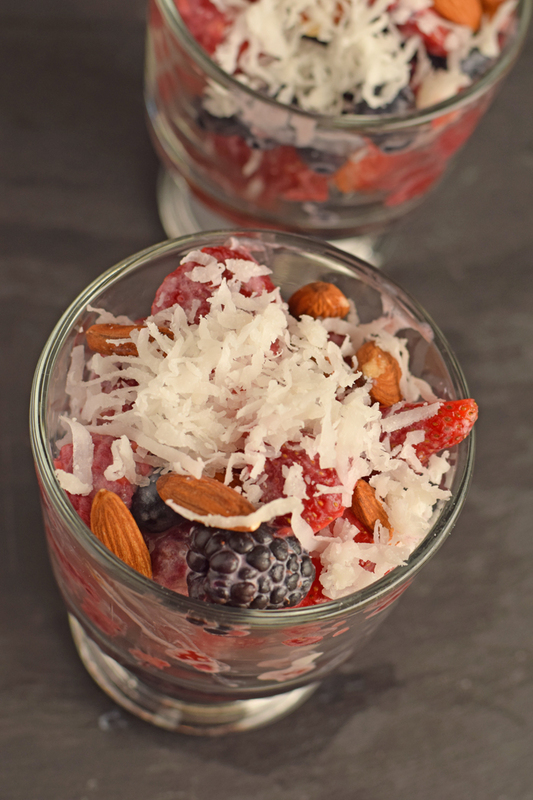 This berry fruit salad looks awesome! 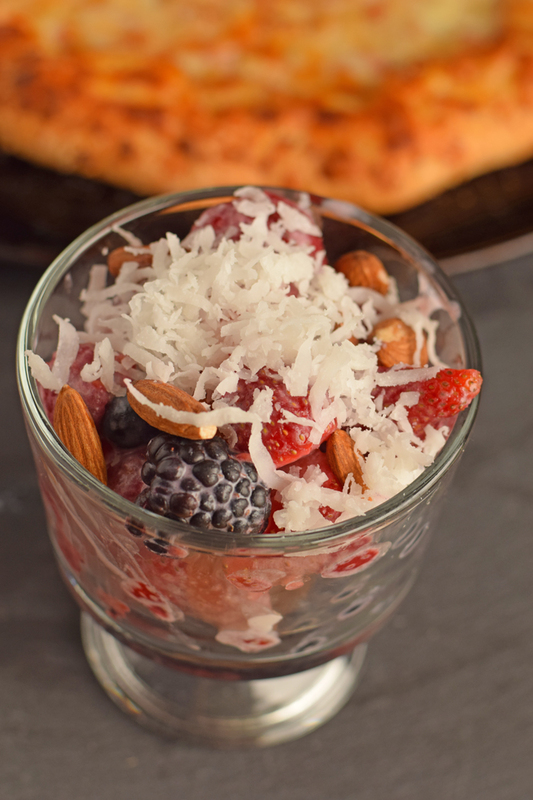 I love to add almond to our parfaits, so it totally makes sense you’ve added it to your fruit salad! Great thinking! I loved shopping at Publix but now that we are in Texas we don’t have one. Great looking fruit salad. Publix is my absolute favorite grocery store! I don’t think I could not have one in my town!!! I love the addition of the coconut with the fresh fruit. Definitely looks a like a keeper! I love that this is such a simple recipe, yet looks so gorgeous! And healthy, too! The coconut is the perfect little touch, too. I have not been to the Publix yet, but that berry salad looks so refreshing and tasty! This looks so goood! Love the addition of almonds!